Need just a little more excitement around the holiday season? 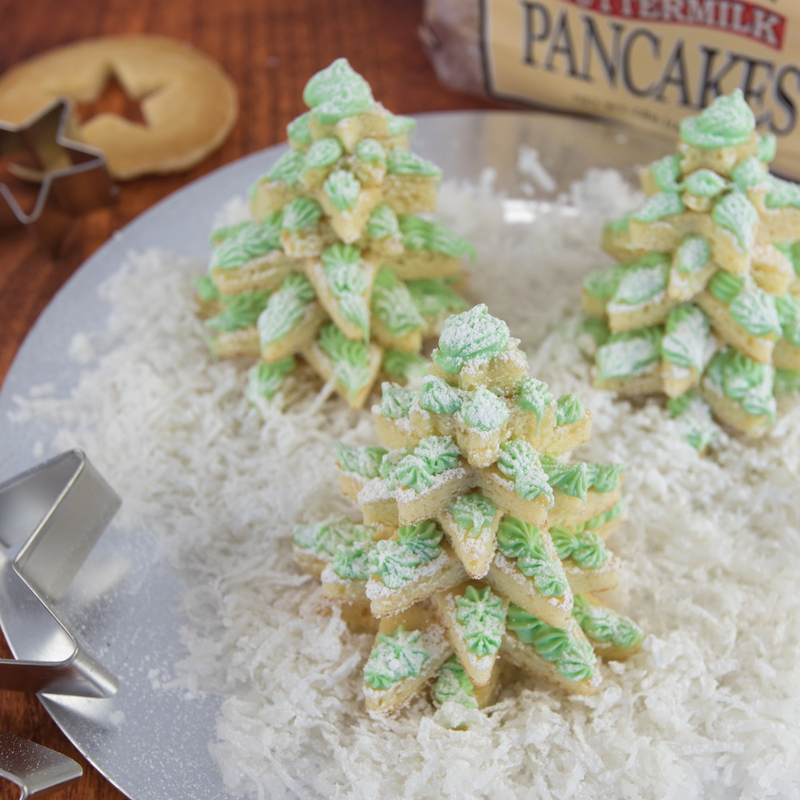 These Snowy Frosted Pancake trees are a guaranteed holly jolly breakfast! First, heat pancakes in the microwave according to packaging instructions. Once pancakes have cooled, use your large star shaped cookie cutter on the full sized pancakes to create 6 pancake stars per tree, depending on how many trees you would like to make. Next, make 2 mini pancake stars per tree with the small cookie cutter. Then, use the pastry bag to spread frosting over the larger stars, making sure to only frost each pancake once it has been properly placed on your tree. Stack the frosted pancakes so the points of each star don’t overlap with those of the star below it. Finally, place 2 mini pancake stars on top in the same fashion to create the tip of your tree. Serve on a shredded coconut bedding and you’re ready to dig in! May we use your image?